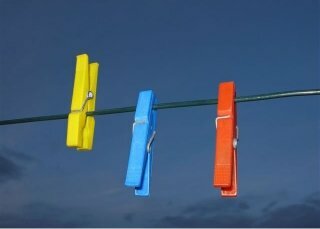 Who would ever think that having a clothes line would become a rare and coveted thing? At Anichini, we know well that the clothes dryer is a textile killer. The last 5 minutes overheats the fibers and causes them to deteriorate. If you have the opportunity, never dry anything 100% unless you don’t care about the lifespan. You can also purchase a drying rack. I use one from Best of New England. It is collapsible and you can take it outside on a sunny day. I hang up everything—even T-shirts! It is better for the environment and better for the life of any fabric or textile. And clothes lines are making a comeback – even in Manhattan.